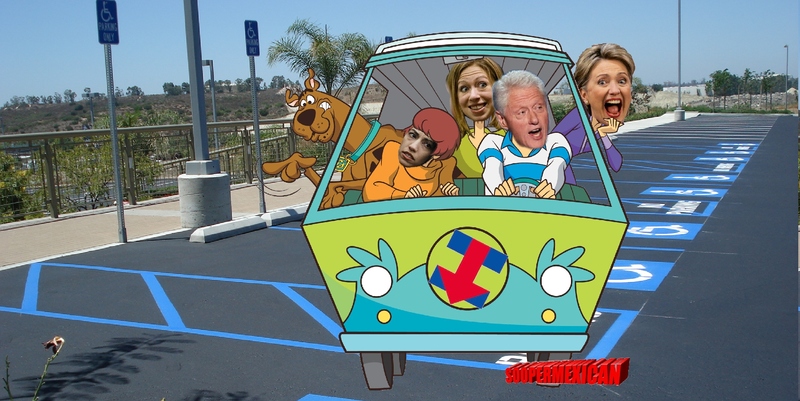 Video Confirms Hillary Clinton’s ‘Scooby-Doo’ Van Parks in Spots Meant For The Handicapped! Hillary Clinton’s image damage control tour rolls on, but new video at one of her stops makes some think that the coronated presidential candidate might either be handicapped, or just a jerk. So which is it? Is the populist “I’m for every day Americans” message being made at the expense of handicapped Americans? Or is Hillary hiding some health problem that Americans need to know about before voting for the harridan?! ?